We checked in with chefs and experts for their knife sharpening tips—from easy-DIY tips to more professional methods. “I like the Japanese knives, I like French knives. 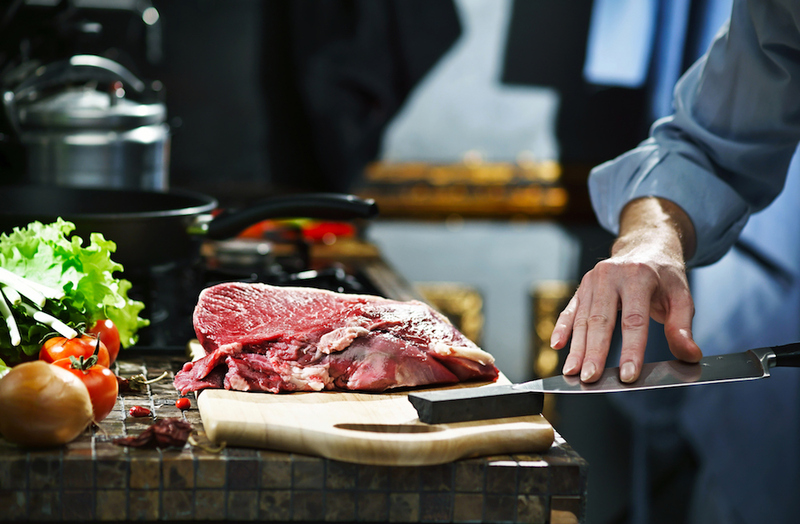 Whatever’s sharp,” Wolfgang Puck once said in an interview. Knives are essential tools in every kitchen, but what do you do when yours start to lose their edges? We checked in with chefs and experts for their knife sharpening tips—from easy-DIY tips to more professional methods. For those who prefer a DIY approach to knife sharpening, Claudia Sidoti, head chef at HelloFresh, has a few ideas to share, the first of which is using a piece of sandpaper: "The best size will depend on the knife and how much you want to sharpen it,” Sidoti says. She suggests starting with a coarser sandpaper and working your way up to a finer piece for maximum sharpness. Another of her methods is using a nail file, running the cutting edge of the knife blade against it. In a pinch, you can also grab a mug for sharpening. "Turn the mug upside down, find the raw part of the cup (the rougher part of the bottom), and run the knife across the mug until you get your desired edge," Sidoti says. She says that you will notice discoloration on the mug, which means the ceramic is removing steel and sharpening the blade. Chef Jeff Osaka from 12 @ Madison in Denver is also a proponent of the mug method—he recommends slowly pulling the edge of the knife at about a 45-degree angle along the unglazed area. Chef Nicholas Tang of DBGB DC learned a similar technique from his grandmother, using unglazed base of a porcelain bowl instead. “The easiest way to sharpen a knife is to use a knife sharpener,” says Executive Chef Fabio Capparelli from Saltine and Varia in Norfolk, Virginia. 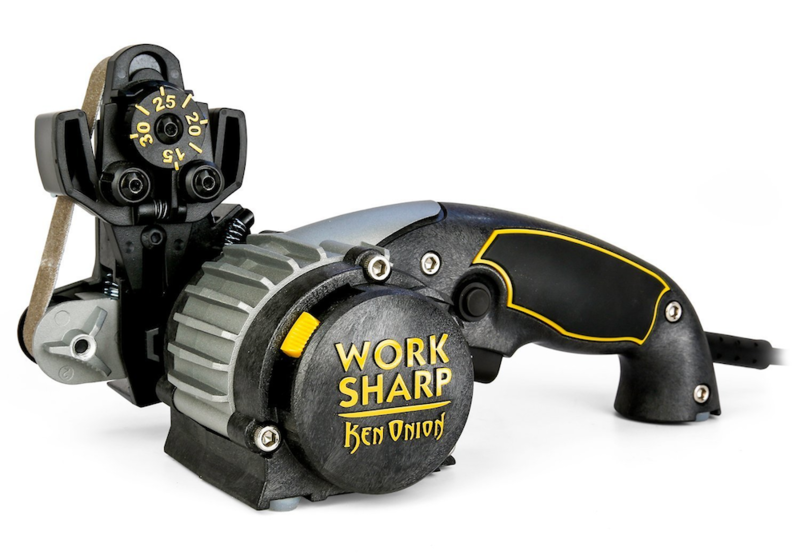 “I personally use an electric one that is called Work Sharp, the Knife & Tool Sharpener, Ken Onion Edition. 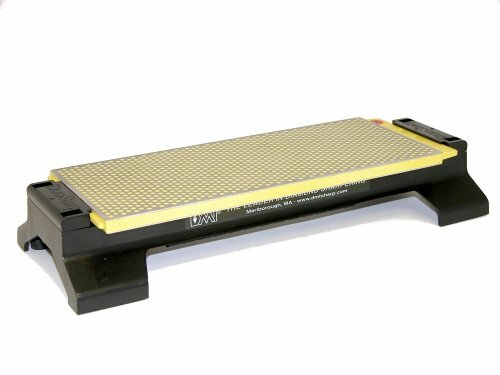 It is very easy to use, and you can adjust the sharpening belt to the angle that is required for your knife." “For those that are up for the art that is knife sharpening, love rolling up their sleeves and learning a new craft, I'd recommend DMT's DuoSharp Bench Stone in the Extra Fine/Fine grit, assuming your knives aren’t blunt objects that need a lot of sharpening work,” said Eunice Byun, co-founder and CEO of Material. Eunice adds that the stone can be used on a multitude of different knife shapes and sizes.